The clean look of our modest button-front favorite pairs well with our Easy Wear Poplin Slack (2P11). Additional underarm room keeps you going, while our poly/cotton pincord fabric is the ultimate in comfort. 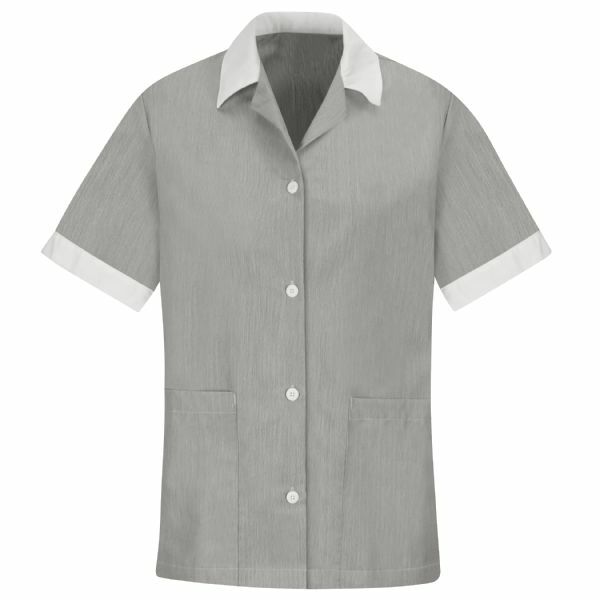 You look as sharp as you feel with dual-action stain repel/soil release white trim.